Much like no. 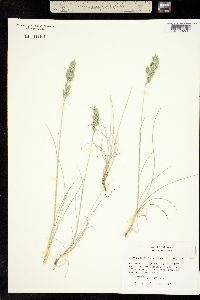 8 [Festuca brachyphylla Schult. & Schult.f. ]; sheaths open to the base; blades ca 0.5 mm wide, firm, the sclerenchyma forming a continuous, ±even band; infl more open and spreading; spikelets 5-7 mm, 3-8-fld; lemmas 3-3.5 mm; anthers 2-2.5 mm; 2n=14. 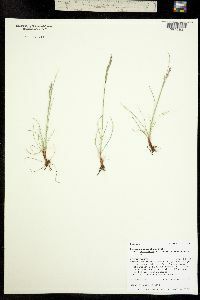 Native of Europe, weedy and occasionally intr. in the ne. part of our range. In the past often interpreted broadly to include our spp. 7, 8, and 10.